Rediff.com » Movies » Has Kangana 'hijacked' Manikarnika? In a cryptic tweet, screenwriter Apurva Asrani took a sly dig at Kangana Ranaut for 'hijacking a film' and described it as 'the worst form of hara-kiri'. Without taking names, Apurva's tweet alluded to the controversy surrounding the historical drama Manikarnika: The Queen of Jhansi, which saw Sonu Sood exiting the project. 'A star hijacking a film and running down the hard work of crew member/s is the worst form of hara-kiri there is. When affected film-makers cannot control this and instead put on a facade of a 'dignified silence', they allow a monstrous ego to go on a rampage and eventually kill the film,' the Asrani wrote. On Friday, August 31, after Sonu announced his departure from the film, Kangana said he decided to quit the project because she was directing the reshoots and patchwork. In his response, Sonu said even though Kangana is a good friend, making the entire issue about male chauvinism is "ridiculous". "The gender of the director is not the issue, competence is," Sonu said of his decision to quit the film. Last year, Apurva Asrani had alleged that Kangana, who has been credited as additional dialogue and story writer on her last release Simran, tried to discredit his work in public by saying that she developed the story with Director Hansal Mehta from a one-line script. 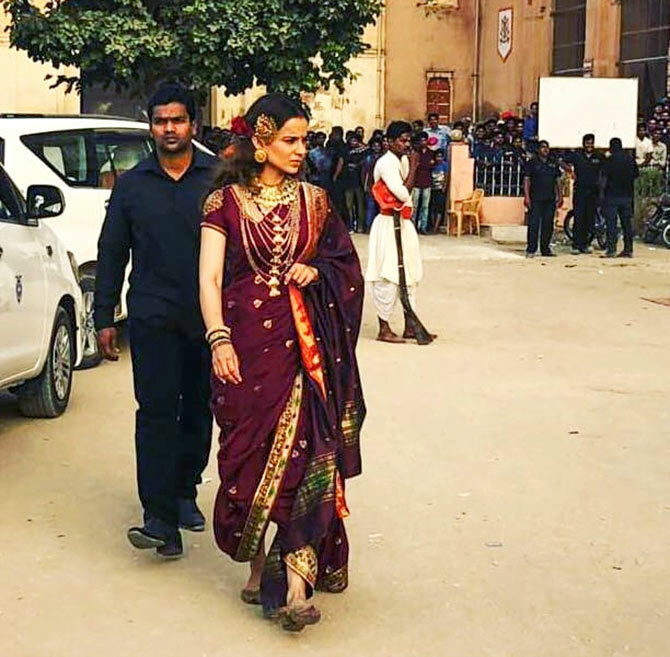 Manikarnika Producer Kamal Jain has rubbished reports that Kangana has 'hijacked' the project as a director. Jain claims the reins to helm the historical drama were handed over to Kangana because of her creative inputs. Additional scenes for the film -- previously directed by Krish -- are presently being shot at the ND Studios at Karjat, near Mumbai. 'After the last schedule was over, we saw the line up of the film. On seeing it, we decided that apart from the patchwork, we also needed a few additional scenes. Once the scenes were written, we approached Kangana for additional dates,' Jain said in a statement. 'But Krish had moved on to his next project by then. Given how driven and creatively involved Kangana Ranaut has been on this project since its inception, we realised she would be the best person to take over the mantle. Hence, there is no hijacking of the project, whatever decisions are being taken are with the full support of the producer and the studio,' he added.